Each Pesach (Passover), I find myself wondering how it could be that oats are one of the grains which Jews are not to eat during the Feast of the Unleavened Bread, unless in the form of matzah. In the field–and those who originally developed the laws certainly knew their fields–oats do not look anything like wheat or barley, which are two key grains that everyone agrees come under the restriction. The first two, chitim and seorim, are wheat and barley. Shibolet shual is generally understood to be oats, even if the more common term in modern Hebrew is apparently kvaker (a transliteration of Quaker!). 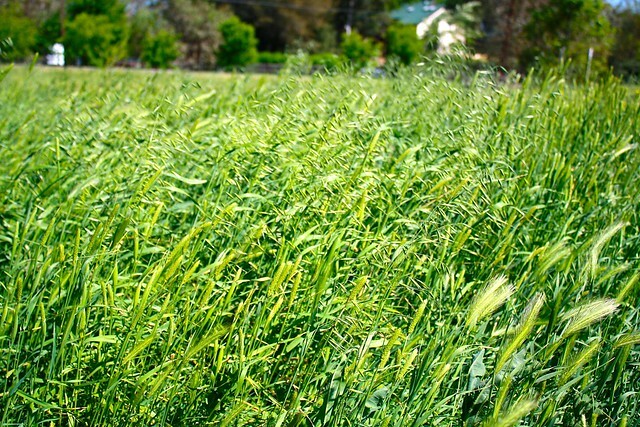 It is likely that shibolet shual is actually another type of barley–some authorities say it is two-row barley, as opposed to the 4 or 6-row type meant by seorim (as explained at the same Balashon post). There is also a controversy over what shifon is. Usually it is said to be rye, others say spelt. Neither is likely, as these grains were apparently not grown in the ancient Land of Israel, Egypt, or the other lands in which these traditions originate. Emer wheat is one good possibility, notes Balashon. The word in modern Hebrew means buckwheat, but “Unlike shibolet shual and shifon, there’s no halachic opinion that buckwheat is one of the five grains.” So if we can agree that buckwheat is too distinctive from wheat and barley to be subject to the matzah laws of Pesach, despite the etymological confusion, why not oats? They are also a very different plant. I don’t actually know what grains we are looking at in that picture. There are several grains here, including some oats. But the main stalks you see there are not oats, and it should be pretty obvious how different most of what you see in this picture is from the the field shown in the first. Here is hoping we can at last rise above the prohibition on oats,** which is quite likely based on a historical error. Given how difficult it is to get across the point that beans, rice, and other “kitniyot” should not be banned during Pesach, I am not optimistic about the great oat shake-up that I am advocating. 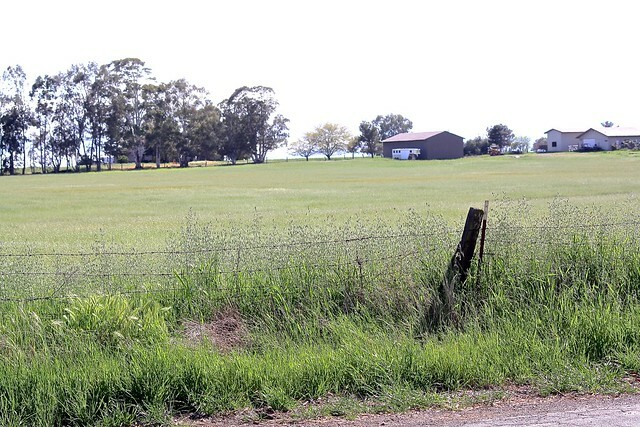 * All photos in this post are from our property, except for the first one, which is of the oat farm across the road from us. In each case, you may click the image to see a larger version. And there are several more grainy photos at the Flickr site. This entry was posted in Judaism and tagged Five grains, matzah, Oats, Passover, Pesach. Bookmark the permalink. Chag Sameach, DrorVa! Ours tend to be pretty ritually light. Kosher, but in a very basic sense. For the rabbis, five specific species of grain become chametz after wetting. The actual species are not known with certainty, although they would necessarily have been crops that grew in the middle east in Biblical times. When the Bible was translated into European languages, the names of food grains common in Europe, wheat, barley, spelt, rye and oats, were used, some of which were not grown in ancient Israel (Mishnah P’sachim 2:5). 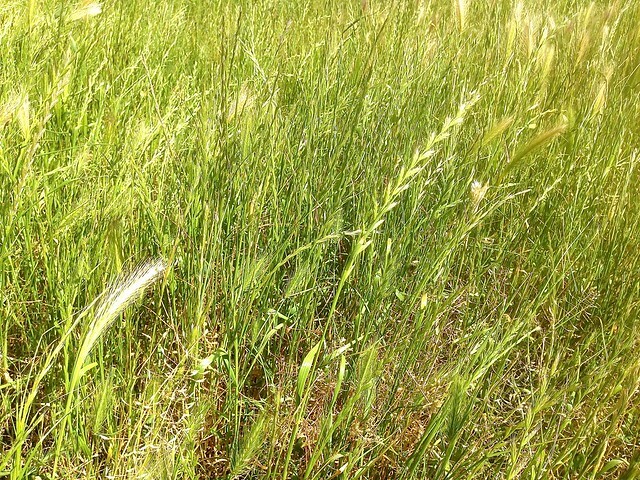 שיבולת שועל Shibbolet shual – two row barley (Hordeum vulgare). Spelt, rye (Secale cereale), and oats (Avena sativa) did not grow in the Land of Israel in the biblical period. Since spelt (Triticum spelta) is genetically closely related to bread wheat it is also considered to be prohibited. Rye should not be eaten since it closely resembles wheat  and can be mistaken for it; it was considered chametz during Exile, even though in fact it did not grow in ancient Israel and was not on the list of chametz-capable grains. According to the Talmud, when any grain not listed is exposed to water it begins to “decay or rot”, rather than “rise” (sirachon). Coincidentally, these are also the grains that people with celiac disease or gluten intolerance must avoid.